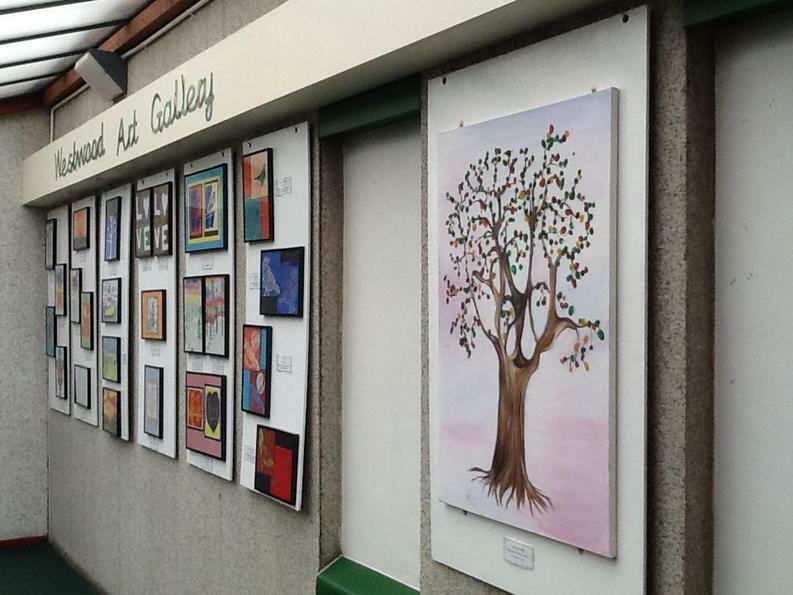 This year at Westwood we are very pleased to announce the opening of own very own Art Gallery! 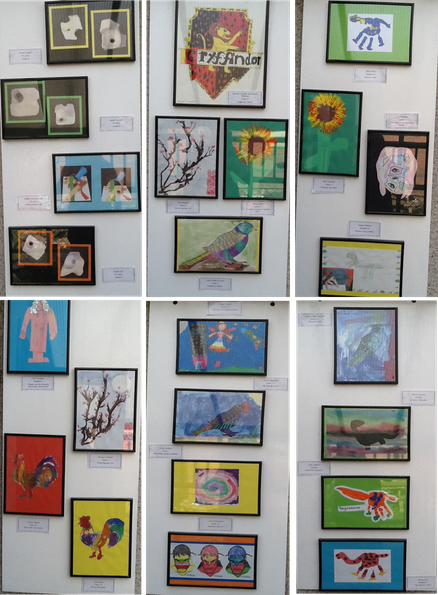 Art work at Westwood is truly magnificent and we wanted to praise children for their brilliant efforts and hard work within this curriculum area. 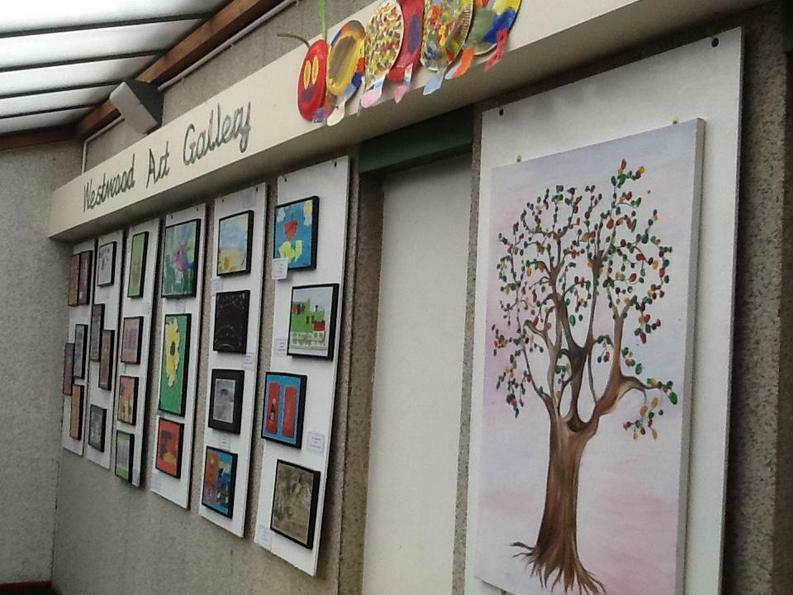 Therefore we thought an Art Gallery would be the best way for the children to display and show of their terrific work with pupils across the school, parents and visitors. 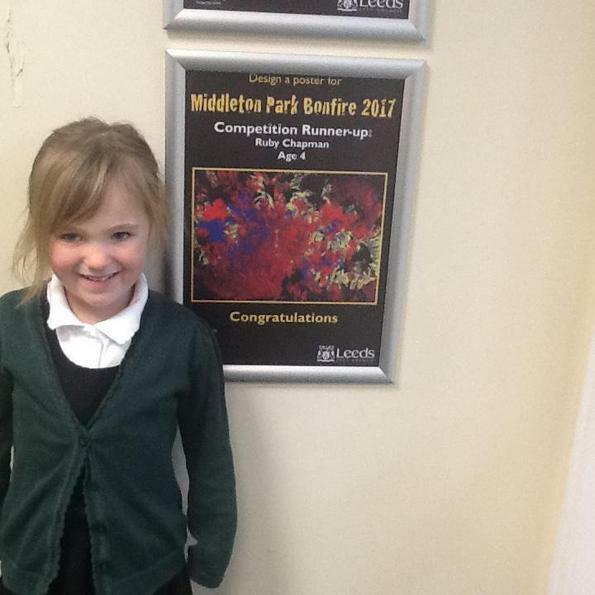 Every term teachers from each class will choose two children who have produced some excellent art work and presented a great attitude and effort towards their work within Art lessons. 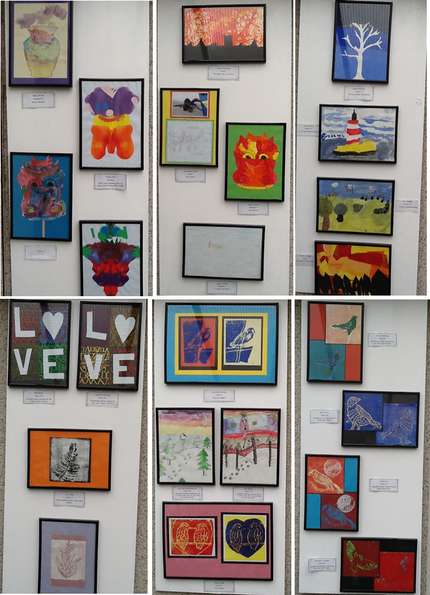 The children from each class will then present their brilliant art work to the school in a celebration assembly and their work will then be displayed in our bright, vibrant Art Gallery on the bridge (near to class 5). 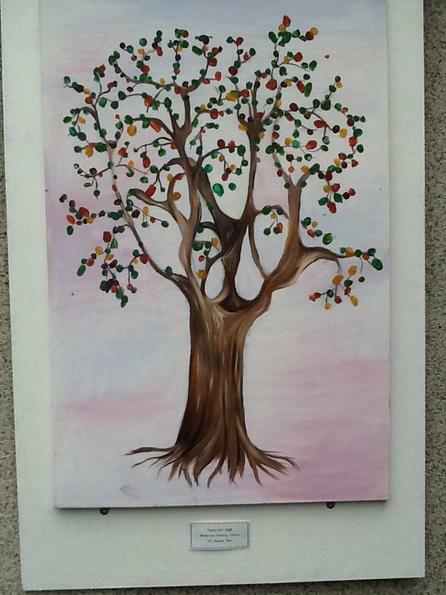 Each half term the art work will accompany our special whole school ‘All Season Tree’, which has every pupils and staffs fingerprint on. 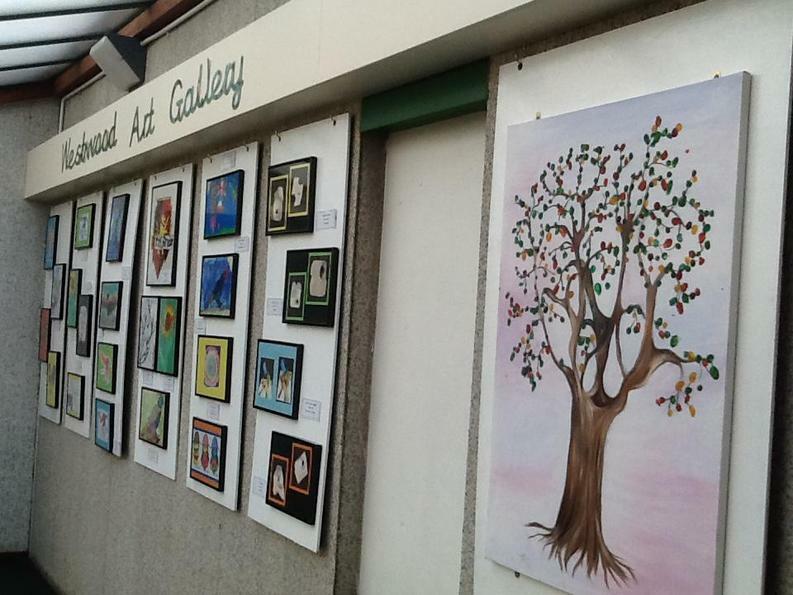 Please feel free at any time to come and have a look at our Art Gallery and we hope you enjoy looking at all the children’s different art work across Westwood! Please see below pictures of our art celebration assembly from each half term. 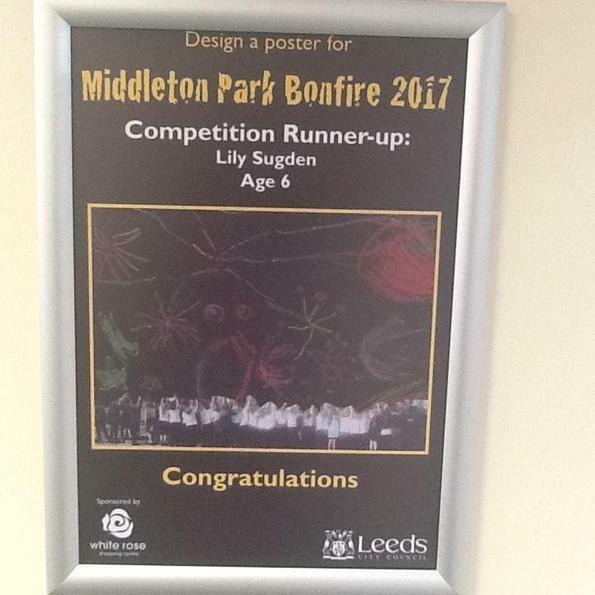 We are so proud of all the children at Westwood Primary School for entering the Middleton Bonfire Poster Competition, everybody produced such brilliant pictures! 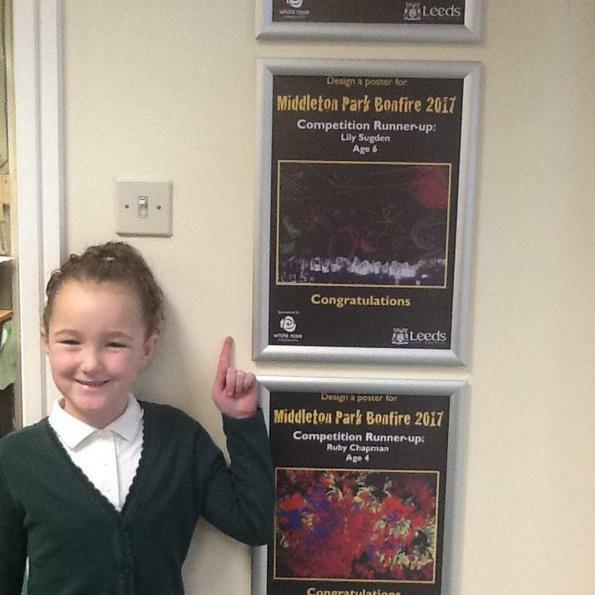 We are therefore extremely happy to announce that we came 1st, 2nd and 3rd in the competition against many other primary schools in our local area. 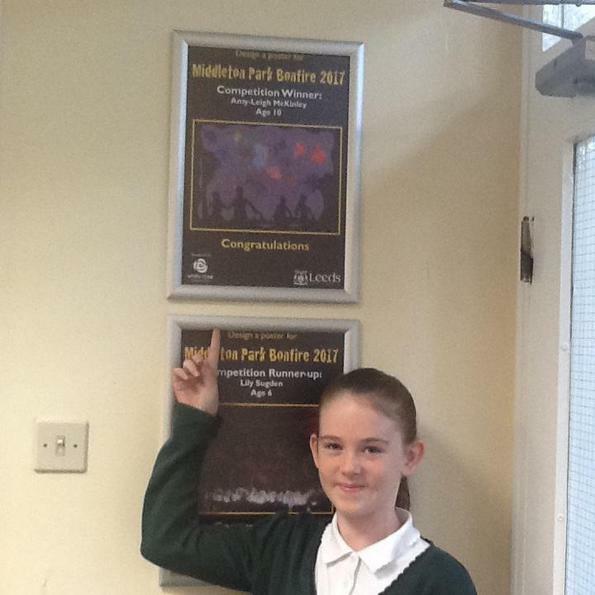 Amy-Leigh McKinley of Class 5/6P was the 1st prize winner, as a reward Amy-Leigh was invited to the White Rose Centre where she was presented with her winning design which now takes pride of place in our school. 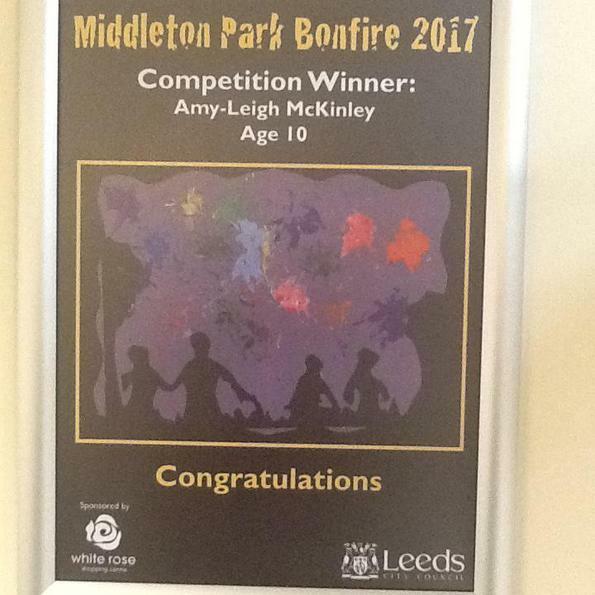 Amy-Leigh also received vouchers and was invited as a VIP guest to light the Middleton Park Bonfire. 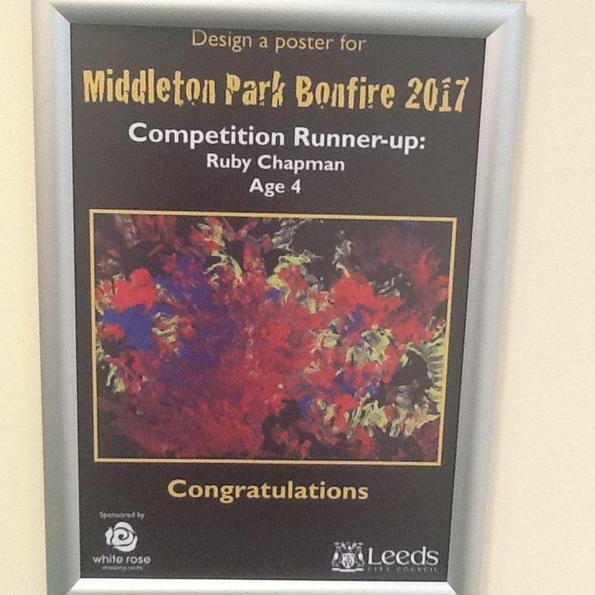 Our 2nd prize winner was Lily Sugden of Class 2 and 3rd prize was Ruby Chapman of Class Reception K. We are all very proud of all our winners here at Westwood.